A question that I often hear and glad to answer. The Extologist is my personal blog site, from comparisons to before and after pictures, it serves as an informational hub and resource for all things hair extensions. 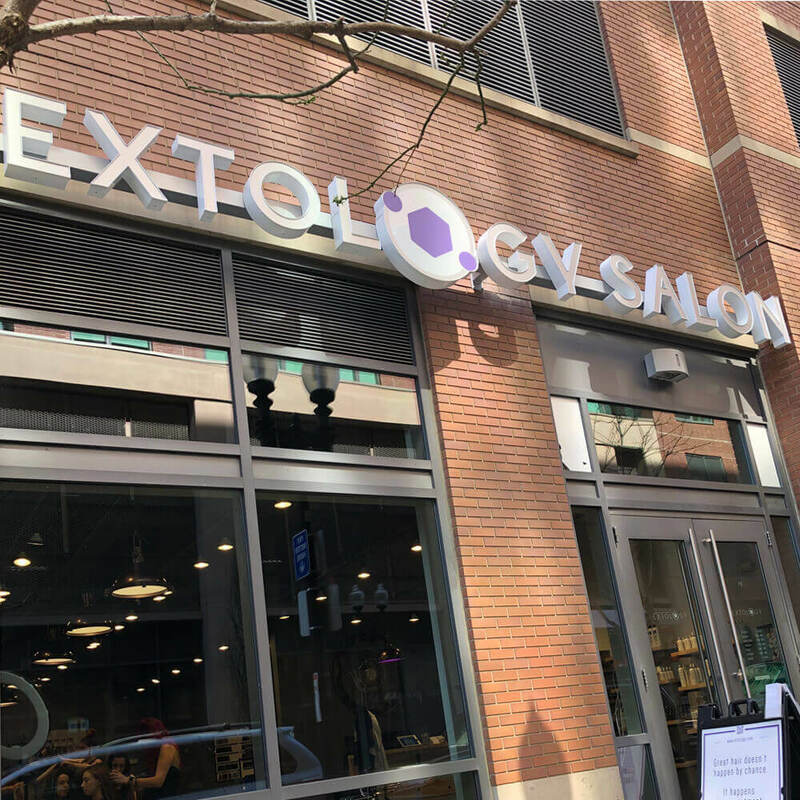 Extology is my award winning salon, situated in the historic and picturesque North End of Boston, where me and my two other stylists get to have fun (and make hair magic happen) every day. The hair salon is just a five minute walk from North Station, or 10 minutes from Haymarket and just steps away from The Battery Wharf Hotel. If you prefer to drive, click here to see a parking map which outlines the numerous public parking lots in our neighborhood. There are also some metered spots on adjacent streets.